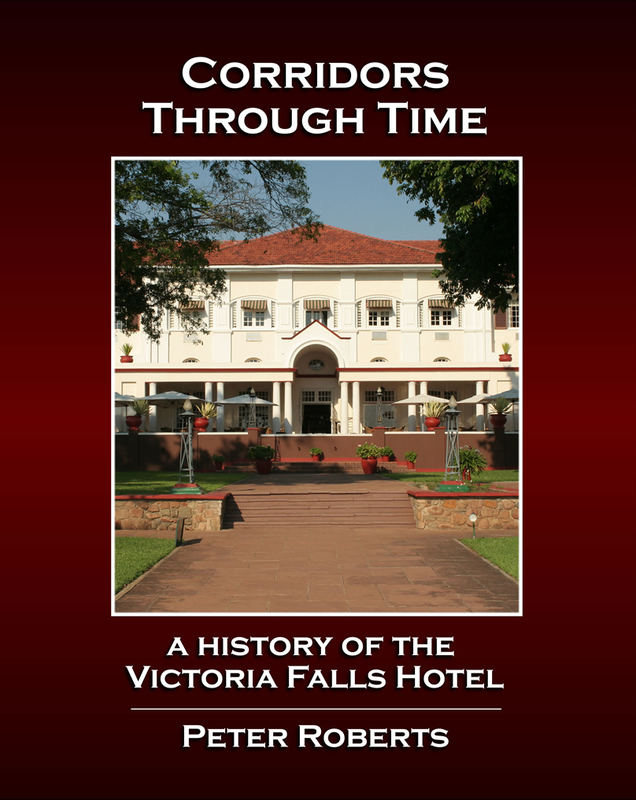 The first edition of Corridors Through Time - A History of the Victoria Falls Hotel was sponsored and published in December 2015 by the Jafuta Foundation, Victoria Falls, and available for sale through selected outlets, including the Victoria Falls Hotel Shop. Originally established in 1904 The Victoria Falls Hotel, known locally as 'The Grand Old Lady of the Falls,' is steeped in a rich and interesting history covering the growth of modern tourism to the Victoria Falls. 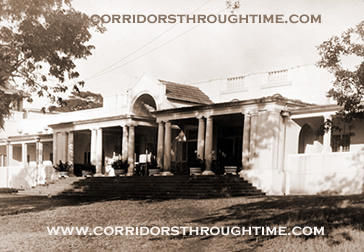 Built by the developing Rhodesia Railways upon the arrival of the railway from the south, The Victoria Falls Hotel was originally intended only to be a temporary structure, housing railway officials involved with the construction of the Victoria Falls Bridge and extension of the railway northwards of the Zambezi River. 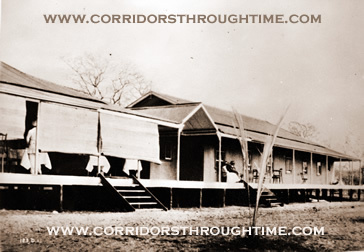 The first Hotel buildings were typical of railway construction at the time, a basic iron structure and wooden walls and floors, raised off the ground. In fact the dining room was a converted engine shed that had been relocated from elsewhere on the network and customised for the purpose. The image adopted for the Victoria Falls Hotel's original logo, and suitably readopted by the Hotel since the 1990s, features a lion to represent southern Africa, a Sphinx for Egypt, symbolising Rhodes’s dream of a railway from the Cape to Cairo. The Victoria Falls Hotel was rebuilt during the period of the First World War, and the new brick buildings opened in 1917. Consisting of a central wing with two flanking side-wings, these buildings still form the core of the Hotel today, despite many extensions and refurbishments over the decades. Significant extensions were added to the Hotel in 1926. Another fifty bedrooms were built, with bathrooms and other facilities, in the new 'hammerhead' blocks. In the years following the Court and West wings were developed, forming the main footprint of the Victoria Falls Hotel we know today. The Victoria Falls Hotel would enjoy an unrivalled position as the premier Hotel at the Victoria Falls for many decades, and along with the Victoria Falls Bridge would become modern icons of tourism and development in the heart of Africa. The Hotel's management was soon consolidated within the emerging railway catering department, and would be managed by the railway company until 1970. Following the Hotel's central role in the development of the Victoria Falls as a global destination for travellers, Corridors Through Time - A history of the Victoria Falls Hotel covers over one hundred years of the travel, transport and tourism to the Victoria Falls. 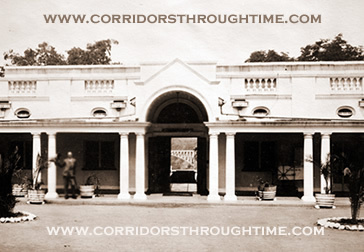 Fully illustrated with over 100 archive images and over 30 modern photographs, Corridors Through Time - A History of The Victoria Falls Hotel traces the history of the Hotel's development, from humble beginnings to luxury five-star elegance, from the arrival of the railway to the age of aviation, and from colonial administration to Independence and beyond. 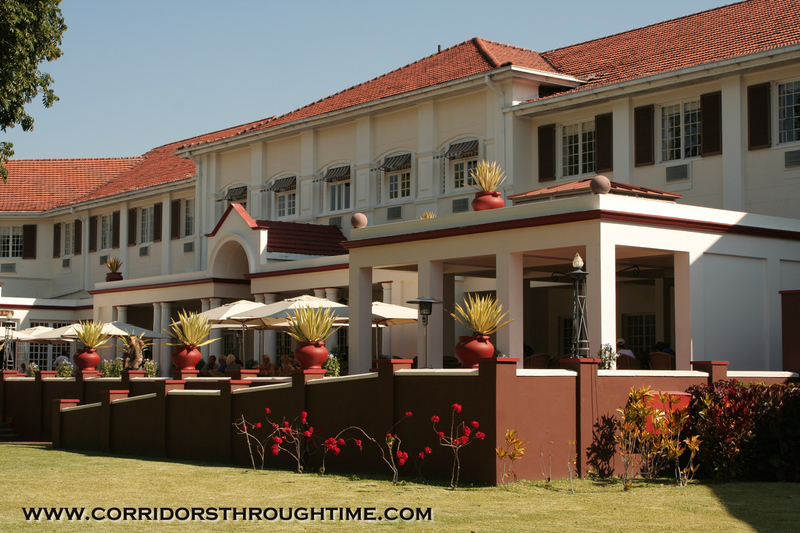 The Victoria Falls Hotel has become an essential element of a visit to the Victoria Falls. 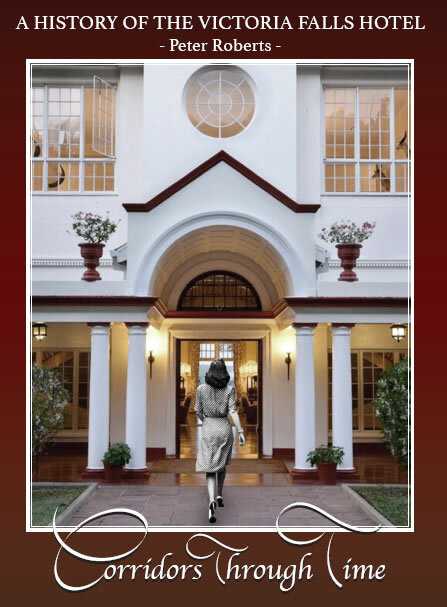 "Over the long period of its operation the Victoria Falls Hotel has taken on an identity of her own, 'The Grand Old Lady of the Falls,' matriarch of Zimbabwe's tourism industry. 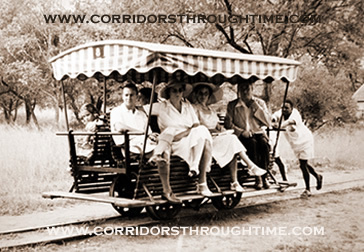 She has had her ups, and downs, but from modest beginnings she has a matured into a global icon, ranked among the most famous hotels of the world... 'Corridors Through Time' is more than the history of a Hotel - it is the story of the development of modern tourism to the Victoria Falls through the twentieth century." 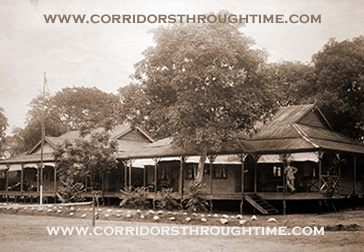 You can read more about the history of the Victoria Falls Hotel with our extended Hotel feature section which supplements material found in the book. 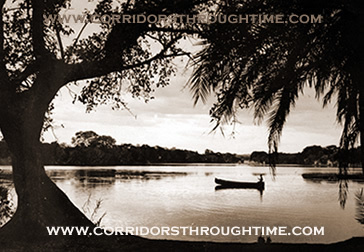 Corridors Through Time - A History of the Victoria Falls Hotel is available on different amazon sites allowing payment in US dollars or UK pounds and dispatch within each country (or beyond - postal rates may vary).